This story was first published by Premium Times. Two years ago, as the late evening sun cast the cityscape in brilliant colours and long shadows, the two of us dragged our chairs under the Ube tree behind the Abuja office of PREMIUM TIMES. The setting sun had left room walls radiating excess heat. My guest was a contractor who was turning his back on the Nigerian defence contracting gang. It was the second day of a series of interviews that lasted several months. A tripod propped a camera in front of us as he squealed on his collaborators and described a particular corruption-ridden, hyper-inflated gunboats purchase contract he masterminded. “Well, you are talking about morals, ethics or considerations like that, but don’t forget that this is a state affair and the state does not embody morality neither does it embody those fine sentiments that people will wish to attribute to it,” he said. My guest was describing an inflated contract in which the government was paying him to buy military boats that it already paid another contractor to supply. Details of this and other tainted contracts are the focus of a coming PREMIUM TIMES investigative series that will reveal the greed and lack of patriotism of some of our country’s security chiefs, abuse of public trust and mindless theft of public funds that characterise defence procurements in Nigeria. Contract inflation is a public sector term that translates to “treasonable stealing”. For a number of high-ranking government officials in Nigeria, stealing public funds through contract inflation is a way of life. A number of past Nigerian officials are currently undergoing trials for alleged corruption-related offences linked to defence procurements. Back to my guest. He told me he decided not to walk away from the fraudulent deal in question because it posed no immediate legal threat. In fact, the deal, he said, got the backing of two National Security Advisers – Andrew Azazi and Sambo Dasuki. “If the public servant holding power decided to add to what I have submitted and steal it, what can I do about it?” he asked. My guest’s narration that afternoon portrayed Nigeria’s defence contracting as a sector operating like a pure criminal gang with a well-formed sectioning of roles split between high-ranking government officials, contractors, and manufacturers. Government officials with authority to initiate defence procurements award inflated contracts to contractors who ferry kickbacks back to them. Patronage, rather than performance, therefore, is the predominant deciding factor in awarding contracts and dissent is treated with grievous repercussion, insiders said. In subsequent parts of this series, we will give you details of the fraudulent gunboats contract my guest discussed. But for today, as part of this overview piece, we are reviewing Nigeria’s top defence scandals as well as ongoing court cases related to corruption in security procurements. My guest was a member of a criminal industry that has robbed Nigeria of trillions of Naira and an estimated 20, 000 deaths of both soldiers and civilians, according to Global Conflict Tracker by the Council on Foreign Relations. The fraudulent contracting processes have also cost the nation multiple international embarrassments. According to a Transparency International report, a network of Nigerian military chiefs, politicians, and contractors worked together to steal more than N3.1 trillion through arms procurement contracts between 2008 and 2017. The contract my guest was involved with would have seen himself, military chiefs and a couple of other agents steal N3 billion. Here are some of the top defence and security procurement related scandals in recent memory. 1. Cash in bullion vans For Special Services? Cash withdrawal from CBN using two bullion vans. Former President Goodluck Jonathan authorised the withdrawal of N67.2 billion in cash from the Central Bank of Nigeria between November 2014 and February 2015 for “special services,” linked to defence and security operations. How the funds were used remain unclear. 2. Cash for Black market Arms in South Africa? The South African border authorities seized $9.3 million belonging to Nigeria from two Nigerians and an Israeli who arrived the country in a private jet owned by a pastor, Ayo Oritsejafor. Customs officers discovered the money stashed in three suitcases after the suitcases were put through airport scanners. The Nigerian government later admitted the money was meant for the procurement of black market arms for the Nigerian military. On that day, Amit Sade, an Israeli contractor – who does not own any arms manufacturing business – working out of Nigeria was gifted a combined N5.2 billion contracts. The first was to deliver “assorted ammunition” at the cost of N2.1 billion. The other was to supply “20 units of K-38 twin hull boats” at the cost of N3.1 billion. He was paid 95 percent for the ammunition, he delivered a 63 per cent worth. On the K38 boats, he was paid 80 per cent, he delivered only 40 per cent. In the last decade, Mr. Sade, records show, was gifted another six heavy-weight military contracts worth N6.721 billion. He is alleged to have failed to deliver on any of them. He could not be reached to comment for this report. He did not reply emails sent to him, and his current location remains unknown. 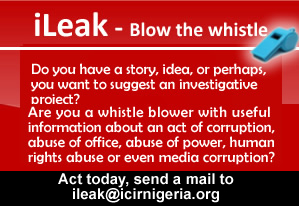 Whistleblowers led the Economic and Financial Crimes Commission to a house in upscale Ikoyi where $43.4 million was kept. The NIA director later claimed the money was meant for undisclosed special security and defence projects. Investigations are still going on and the real motive for keeping the fund in that location remained unclear. The ministry of defence gifted two purchase contracts to Progress Limited for the supply of 42 units of BTR-3U Armoured Personnel Carriers and spare parts for the Nigerian Army without documented contract or agreements. There was no cost negotiation between the two parties. Two years later, 26 used APCs were delivered but they broke down almost immediately after they were deployed for peacekeeping operations in Sudan. The Nigerian government released N1.35 billion to re-stock ammunition for OPERATION BOYONA, aimed at dislodging terrorist camps along the borders with Cameroon, Chad, and Niger. Two months later, the National Security Adviser, Sambo Dasuki, requested and got approval for additional N2 billion. It does appear neither the Defence Headquarters nor the soldiers on the battlefield benefited from the second cash released to the NSA. The money is believed to have disappeared, an allegation Mr. Dasuki is denying. Nurudeen Mohammed, the then Minister of State Foreign Affairs, requested N7 billion to urgently fund operations of the Multinational Joint Task Force in the Lake Chad Basin. The funds were released to the National Security Adviser. It is unclear how the money was used. Officials say most were traced to companies that had no business with the Task Force. One and a half billion naira was withdrawn in cash. Between the seven months of September 2014 to April 2015, the Nigerian Maritime Administration and Safety Agency paid out N8.5 billion to the Joint Task Force Operation Pulo Shield – the military unit fighting insurgency in the Niger Delta. Most of the funds were described as operation enhancers. Over 70 per cent of the funds (N6.2 billion) were converted to US dollars and handed over to an unknown “Private Citizen”. No one also knows what happened to the balance — N2.3 billion. The Shaldag contract is one of the deals that paved the way for a regime of kleptocracy in the Nigerian Defence sector, and the emergence of a gang that has grown to be more powerful than elected regimes. The 2010 deal saw an Israeli shipbuilder, Israeli Shipyards, win a $25 million contract to supply Nigerian Navy with two fast assault boats. Their market value at the time was estimated to be $5 million each. Nigeria, therefore, lost $15 million in the deal. It is unclear how the $15 million excess was shared between everyone involved, but the Israeli police have established that the middleman, Amit Sade, received $1.47 million in what is now termed brokerage fee. Three people are facing trial in Israel over this deal. Military Generals in Nigeria form an important part of the contracting gang stealing from the country through defence and security contracting. In July 2016, an investigative committee set up by President Muhammadu Buhari, shortly after entering office in 2015, released a report indicting 18 senior military officials, 12 retired and serving government officials, and 24 CEOs. The panel recommended further investigation and prosecution of the indicted individuals. In February 2016, the Nigerian Army announced that it handed over 12 senior officers to the EFCC for their alleged involvement in arms scandal. The army did not name them but said they included three serving major generals, and one retired, three brigadier generals, four colonels and one lieutenant colonel. “We have charged some people to court, but the investigation into others has not closed,” the EFCC spokesperson, Wilson Uwujaren, said. Here are some of the senior military officers indicted by the panel in its report as well as those publicly known to be undergoing trial. Lieutenant Colonel Sambo Dasuki, retired: Although official banditry in Nigeria’s defence and security contracting predates and goes beyond — the former National Security Adviser, he is the highest-ranking government official held. He was arrested on December 1, 2015, by officers of the State Security Service (SSS) over the utilisation of $2 billion meant for buying arms for the military. In the scheme, high ranking members of the then ruling Peoples Democratic Party, as well as other members and friends of the government, set up companies and approached the NSA for contracts. As it was later found out, the contractors simply walked away with the funds while soldiers at the battlefront wrestled Boko Haram with bare fist. Prosecutors claim the fund were diverted fund the party’s campaigns in the 2015 elections. A Presidential panel was later set up to investigate defence and security procurements dating back a decade. The committee indicted Mr. Dasuki and other individuals. He has been in detention since his arrest despite bails by four High Court judges in Nigeria and an ECOWAS Court. Lieutenant General Azubuike Ihejirika, retired: Mr. Ihejirika retired from the army in January 2014 after serving as Chief of Army Staff for four years. He was appointed Chief of Army Staff on September 8, 2010, by President Goodluck Jonathan. Seven months after his retirement, Stephen Davis, an Australian negotiator who was working for the Nigerian government as a go-between in the Boko Haram war called out Ihejirika, as well as Ali Sheriff, a former governor of Borno state, as the “sponsors” of Boko Haram. Nigeria’s State Security Service later claimed they found Mr. Ihejirika to be innocent. Mr. Ihejirika was indicted by the DasukiGate Panel for using family members and fronts to procure arms contract. Twenty months after the indictment, the EFCC invited him for questioning. As at the time of this reporting, he has not been charged. Lieutenant General Kenneth TJ Minimah, retired: Mr. Minimah took over from Mr. Ihejirika as Chief of Army Staff and handed over to the incumbent, Tukur Buratai. On June 30, 2017, an Abuja High Court froze his accounts after the Economic and Financial Crimes Commission accused him and a company, Stoke Synergy Nigeria Limited, of stealing N13.6 billion from the Nigerian Army. The EFCC claims Mr. Minimah has refunded N1.7 billion. Air Vice Marshal Alex Badeh, retired: Mr. Badeh was the immediate past chief of defence staff. The EFCC is accusing him of stealing N3.9 billion from Nigeria during his tenure. “He allegedly abused his office as Chief of Defence Staff by using the dollar equivalent of the sum of N1.4billion removed from the accounts of the Nigerian Air Force to purchase properties in choice areas of Abuja between January and December 2013,” the EFCC claimed in a statement. Mr. Badeh and his family company, Iyalikam Nigeria Limited, are currently standing trial for the “theft” of N3.97 billion Nigeria’s defence and security funds. Major General Emmanuel J Atewe, retired: A former Commander JTF Op PULO SHIELD is standing trial for allegedly “stealing” about N8.5 billion defence and security funds the operations received from the Nigerian Maritime Administration and Safety Agency (NIMASA). Mr. Atewe is charged alongside a former NIMASA boss, Patrick Akpobolokemi, and two other staff of the agency: Kime Engonzu and Josephine Otuaga. An Abuja businessman, Arinze Nkem, on Monday, June 19, 2017, told an Abuja High Court that the General regularly paid huge sums into his bank account with instructions to convert the remittances to US Dollars and redistribute. Air Vice Marshall Tony Omenyi, retired: Mr. Omenyi and his company, Huzee Nigeria Limited, are standing trial for allegedly stealing N136 million defence and security funds. He was formerly a Managing Director of Aeronautical Engineering and Technical Services Limited (AETSL), a company owned by the Nigeria Air Force. His strategy was simple. According to court proceedings, he would cause his office to award contracts to Sky Experts who subsequently will forward the money to Mr. Omenyi’s company, Huzee ltd.
Mr. Omenyi claimed the monies were “refund of loans given to Sky Experts,” indicating a further breach of a constitutional code of conduct. Air Marshal Adesola Amosu, retired: A former Chief of Air Staff is standing trial for conspiracy, stealing, money laundering, concealing of proceeds of crime and converting N18 billion belonging to the Nigerian Air Force, NAF, to personal use. Mr. Amosu is being prosecuted alongside two other high ranking colleagues: Air Vice Marshal Jacob Bola Adigun, a former Director of Finance to NAF and Air Commodore Gbadebo Owodunni Olugbenga, a former Deputy Director of Finance NAF. Their corruption scheme was similar to others in Nigeria’s defence contracting industry. NIMASA paid NAF’s N3 billion to NAF’s Special Emergency Operation Account with Zenith Bank Plc. Other sources paid N15 billion. The money was then forwarded to five companies: Right Options Oil & Gas Limited, Judah Oil Limited, Delfina Oil & Gas, McAllan Oil & Gas Limited and Lebol Oil & Gas Limited. These are Bureau de Changes, not oil companies as their names suggests and an insider, Mr. Adigun, was an opening director at Delfina Oil & Gas and McAllan Oil & Gas. These FX companies converted the funds into US dollars and returned to Mr. Adigun and Mr. Olugbenga. Delfina Oil & Gas and McAllan Oil & Gas Limited paid a chunk of what went through them directly to Solomon Enterprises, a company owned by Mr. Amosu, the EFCC claimed in court. The three military chiefs finally used the funds to buy properties in Nigeria and the United Kingdom. Mr. Amosu’s wife, Omolara, one of the directors of St. Solomon HealthCare, also received N95 million from the largesse. Vice Admiral Usman Jibrin, retired: A former Chief of Naval Staff, is facing trial alongside Rear Admiral Bala Mshelia, Rear Admiral Shehu Ahmadu (all retired) and Habor Bay International Limited. The Nigerian Navy had no need for the house and had no plans to buy it. There was no budget for it. Apparently, a company owned by Mr. Jibrin’s family, Habor Bay International Limited, needed it. The three Naval chiefs worked out a plan and pulled N600 million from the account of Naval Engineering Services to pay for a property at Plot No. 2717 Cadastral A06, Maitama, Abuja. The property’s documentation shows Habor Bay International Limited as the buyer and owner even though the Nigerian Navy paid. Essentially, the former naval chief used Nigerian Navy resources to illegally gift himself a N600 million property. Major General JAH Ewansiha, retired: Mr. Ewansiha served as the Chief of Training and Operations in the Army.